Anyone wants a FREE handmade journal? Somewhat voluble is having a giveaway to celebrate her first blogoversary!! It’s a beautiful handmade journal from Kreativlink. Original drawing on soft, ochre colored suede that’s sewn on brown felt. As with all my books, it comes with a handsigned “certificate of authenticity” card so it makes a great present too. 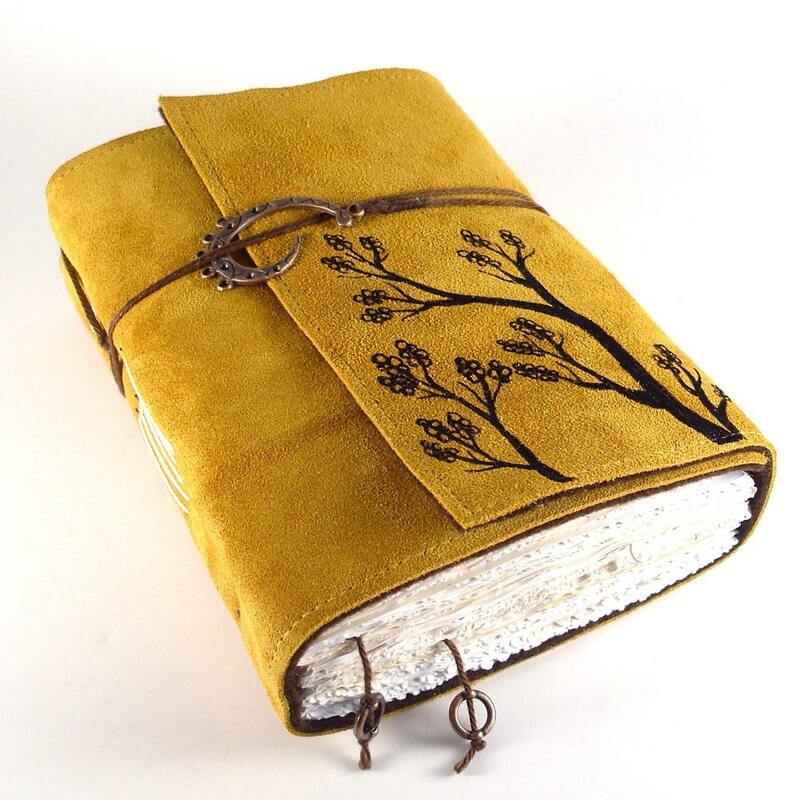 Filled is this softcover journal with tea-stained paper, hand torn and carefully bound with strong linen thread. The paper is smooth and takes all writing instruments and will also work great as a sketchbook for dry media.. So all you paper fanatics out there, go to somewhatvoluble to enter in this giveaway! You are currently browsing entries tagged with yellow at Project 31 Studio.